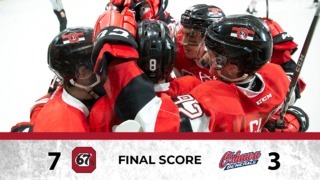 The 67’s today announced that all registered minor hockey players in Ottawa/Gatineau 16 years of age and younger will be able to attend all Ottawa 67’s 2015-16 regular season home games at TD Place for free. 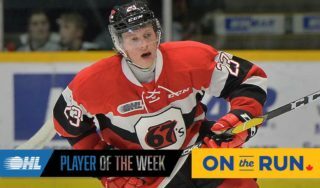 The initiative is called “67’s Prospects,” recognizing that all minor hockey players could evolve into prospects for the team with enough practice, determination and hard work. 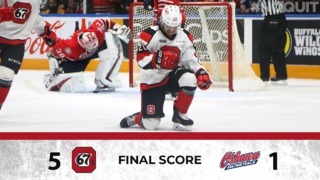 Inspired by Ottawa Fury FC’s successful “Fury Fanatics” program, which gives all registered minor soccer players in the region an opportunity to see Fury FC home games for free, the 67’s Prospects initiative gives minor hockey teams, players and their families a chance to contribute to the vibrant atmosphere at TD Place and pick-up a few tips from this year’s highly-skilled edition of one of Canada’s most storied major junior hockey franchises. 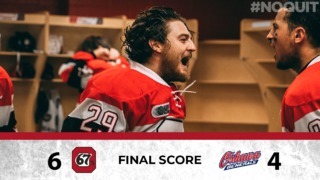 To join 67’s Prospects, registered minor hockey players 16 years of age and under simply visit www.67sprospects.com, fill out the form and they’ll receive an email telling them how to get their tickets for any and all 67’s 2015-16 regular season games.